Since childhood, I was advised to include bananas in my diet in some way or another. Mom would always slice up a banana in my morning cereal to make it more nutritious and in summers, a chilled banana smoothie was served as our instant dose of refreshment and energy. I was constantly reminded that bananas were a powerhouse of several powerful nutrients and loaded with digestive fibre. I also learnt that they were rich in potassium, zinc, iron and manganese and would help prevent ailments like diabetes, asthma, high blood pressure and cancer. But guess what? That’s not it! Recently, I was surprised to find out what more a humble banana could do. Turns out that they’re not only beneficial for our overall health, but were also one of the most rewarding natural beauty ingredients in the world. Millions of women used the goodness of bananas in their daily beauty regime and found miraculous results. Wondering how that's possible? Let’s find out! 1. Rich in potassium and moisture, a banana gently hydrates and moisturizes your skin, leaving it soft and supple. It further prevents your skin from drying and peeling as well. 2. It includes Vitamin A which restores the lost moisture and heals your dull skin. It helps to get rid of all the dead skin cells, thereby rejuvenating your skin from within. 3. It’s Vitamin C helps boost the production of collagen, causing firmer skin and also reduces the appearance of dark spots, pigmentation and other types of sun damage. 4. Loaded with antioxidants, manganese and Vitamin B, a banana is also known as a ‘nature’s botox’. It protects your skin from damage caused by oxygen, free radicals that lead to oxidative stress and premature ageing of the skin. 5. The Vitamin E present in a banana boosts your skin’s defence against UV exposure whilst slowing down the process of ageing. 6. While its zinc and lectin fight all the acne-causing germs together, the amino acid nourishes your skin, strengthens its connective tissue and helps maintain it’s elasticity. 7. A banana is also effective for fading the post-breakout, red and black spots by naturally healing your skin. It helps to get rid of all sorts of acne scars and age spots and evens out your skin tone by lightening all the areas of skin discolouration. Although a banana itself is loaded with enough vitamins and nutrients required for healthy skin - when coupled with other ingredients, it leads to incredible face masks that act as a quick beauty fix to all your skin problems. 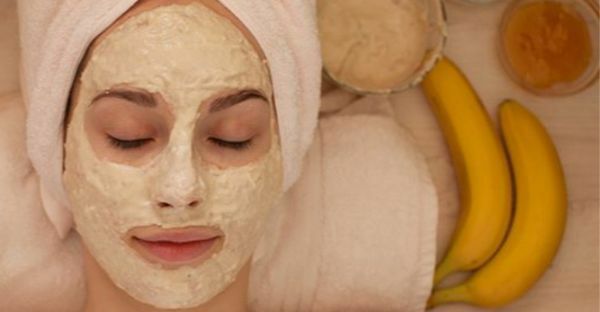 Read on to find out some of the most effective, DIY banana face masks that are proven to leave you with an unbelievably nourished and brighter skin. How To Prepare: Get a small bowl, mash up the banana with the back of a fork and apply it to your face. Try to avoid the areas around your eyes. After 20 - 25 minutes, wash it off with lukewarm water. Benefits: If you want to instantly moisturise your skin, this banana face pack can do wonders and leave you with considerably brighter and softer skin. How To Prepare: Mash up the banana with a de-seeded avocado and make a smooth paste. Apply it on your face for 20 minutes and gently remove it with a wet cloth afterward. Benefits: While the banana gently cleanses of the dead skin cells, an avocado adds an additional natural moisturising element to your face and makes it soft and supple. How To Prepare: Take a banana and crush it without making any lumps. Add the honey, egg yolk and oatmeal in the bowl containing banana. Apply it on your skin and wash it off after 15 minutes. Benefits: While the banana smoothens and rejuvenates your skin, honey locks in the moisture and hydration. Its antibacterial properties heal the skin whilst reducing breakouts. The oatmeal also helps get rid of the blackheads, whiteheads and clogged pores on your skin. How To Prepare: Melt the coconut oil and add it to the bowl full of mashed banana. Apply it on your face and let it sit for half an hour. Wash it off with water while gently massaging your face for 2 minutes. Benefits: Apart from providing antioxidant protection, the coconut oil penetrates deep inside the skin, thereby moisturising it. It also contains lauric acid that fights acne along with Vitamin C and E that promotes your skin's elasticity. How To Prepare: Blend all the ingredients together and make a smooth paste. Apply it on your face and leave it for 15-20 minutes until it dries. Then, remove it gently with a cloth soaked in warm water. Benefits: These ingredients help in combatting the excess oil in your skin as well as the excess sebum produced by your skin, thereby reducing the occurrence of pimples. How To Prepare: Mash the banana nicely until the paste is smooth. Add the lemon juice and honey to it and mix them well. Apply it on your face and neck, mostly around the tanned areas of the skin. You can even apply another layer of the paste for deeper penetration. Let it sit for 15-20 minutes and rinse it off with lukewarm water. Benefits: While the lemon reduces the appearance of blemishes and dark spots, honey lightens the skin tone and removes the bacteria causing pimples as well. When combined together, along with the wholesome goodness of bananas, this mask gives you soft, glowing and clear skin. How To Prepare: Blend the sandalwood powder and honey into a bowl of the mashed banana until a nice consistency is created. Apply it on your face and let it sit for 20 minutes until its dry. Then, remove the mask with lukewarm water whilst gently massaging the skin for 2-3 minutes. 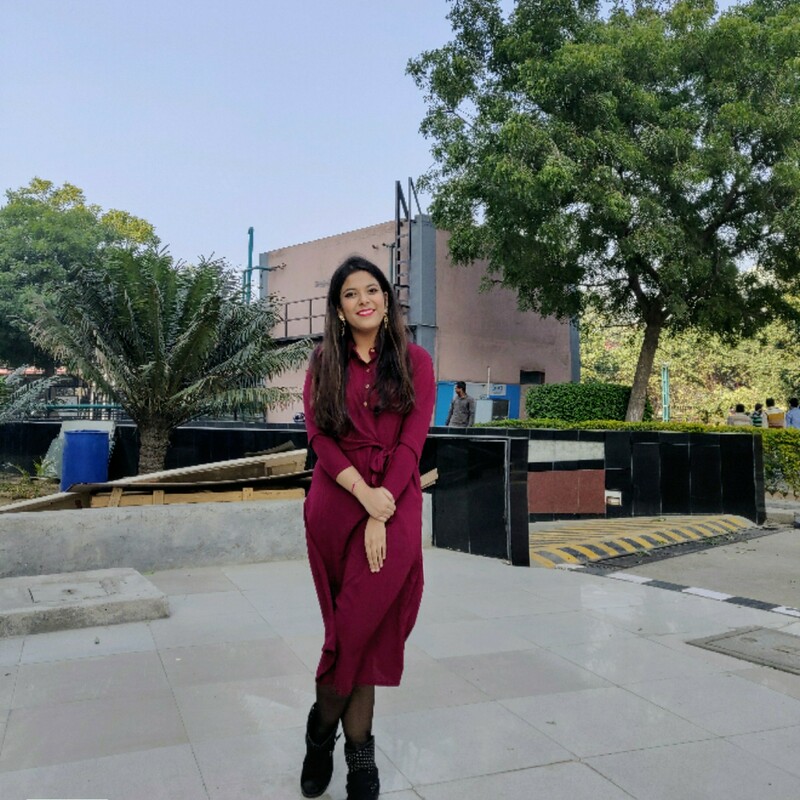 Benefits: According to Ayurveda experts, not only does sandalwood help in getting rid of blemishes and skin discolouration but is also effective in treating blackheads, acne, skin rashes and excess oil in your skin. The addition of honey and bananas add even more essential nutrients for glowing and smooth skin. How To Prepare: Mash the banana in a mixer and add cucumber to the same. Now, add the freshly squeezed lemon juice to the paste and blend smoothly. Apply the mask on your skin and rinse it off with lukewarm water after 30 minutes. Benefits: With the supply of silica and antioxidants, cucumber removes all the dead skin cells and dust particles, thereby rejuvenating your skin. It also helps in diminishing acne scars and removes tan whilst acting as a natural bleaching agent. In fact, it also reduces the occurrence of dark circles and puffy eyes. How To Prepare: Mix the mashed banana with turmeric and baking soda, and add a little water to make a nice consistency of the paste. Apply it on the skin carefully and wash your face after 15 minutes. Benefits: We all are aware of turmeric's antiseptic and antibacterial properties which help in getting rid of acne and lightening the skin tone. The addition of baking soda helps in gently scrubbing off the excess sebum and oil produced by the skin along with all the dirt and dust particles. How To Prepare: Mash the banana in a bowl and extract the juice from the pineapple, separately. Add this juice to the mashed banana and blend it well without making any lumps. Apply the paste on your skin for 10-15 minutes and rinse it off with water. Benefits: Containing skin friendly enzymes, pineapple helps in reducing the occurrence of acne, dark spots and blemishes on your skin. When combined with a banana, it doubles its effectiveness, leading to quick and noticeable results. How To Prepare: Mix all the ingredients well until a smooth paste is created. Apply it on your skin for 10-15 minutes and rinse it off while gently massaging your face for 2-3 minutes. Benefits: Baking soda and lemon juice can do wonders when combined together. Not only do they kill the acne-causing germs but also have anti-inflammation properties which minimize the swelling of pimples. How To Prepare: Add the yogurt and orange juice to a bowl full of mashed banana. Spread the coating of the paste on your skin and let it sit for 15 minutes. Wash your face with cold water to tighten your pores and block the entry of dirt into your skin. Benefits: While an orange supplies the skin with Vitamin C that produces new skin cells and reduces the occurrence of fine lines and wrinkles, yogurt, on the other hand, makes the skin firm and youthful. How To Prepare: Mash the banana in a bowl and blend it with the yogurt and lemon juice while avoiding any lumps. Apply the paste on your skin for 25-30 minutes and rinse it off while giving your skin a nice massage for 2-3 minutes. Benefits: Acting as a chemical exfoliant, the citric acid of lemon removes all the dead skin cells and reduces the appearance of brown spots and wrinkles. It's Vitamin C also helps in boosting healthy collagen which leads to firmer skin. The milk acid of yogurt further hydrates your skin and gives it a natural, youthful glow. Ingredients Required: 1 banana, 1 tablespoon of butter and 2 tablespoons of rose water. How To Prepare: Add some rose water and melted butter to the bowl containing mashed banana and blend it well until a smooth consistency is created. Spread the mask on your face and let it sit for 20-25 minutes until its dry. Gently remove it with a cloth soaked in cold water. Benefits: While the butter works wonders for the removal of fine line and wrinkles, rose water helps in healing acne scars, wounds and regenerates the skin tissues. When combined with a banana, these ingredients balance the moisture content of your skin and give you noticeable results from day one itself. How To Prepare: Mash the banana and kiwi together and add some milk to give it a nice consistency. Apply the paste on your skin and let it sit for 15 minutes. Rinse it off with lukewarm water once it dries. Benefits: According to recent studies, the extracts of a kiwi are known to remove our dead skin cells much faster than any other commercially available beauty ointments. This fruit also controls the excess sebum in our skin and slows down the aging process. When combined with a banana, it protects the skin from inflammation and improves the quality of our skin. So, go on and grab a banana. Eat one and apply another to your skin, right now! Pamper yourself with these unbelievably good face masks and get ready to be surprised.